The success of a sign is generally a VERY SUBJECTIVE measurement, and will have a lot to do with exactly WHY the sign was originally commissioned, and WHAT the intent of the commissioner was at the time the sign was commissioned. If the #sign was commissioned to let passers by know that YOU are located in a particular location, and the sign generates sufficient interest or attention to get [sufficient] people to walk in, the sign could be considered a success. If on the other hand the #sign was intended to make a specific statement, one that was intended to say ask for a ladies hand in marriage, could one say the sign was UNSUCCESSFUL if the lady turns down the proposal? If your sign has all five points, it is bound to succeed in it’s objective. SignForce is based in Johannesburg, South Africa, and ork throughout Southern Africa. How will the SUN affect the life of my sign? Does the SUN truly affect the life of a sign? 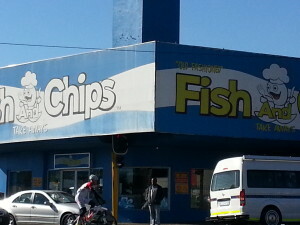 The two attached photo’s are of a sign in Johannesburg. This is not one of SignForce’s customers, but it is a brilliant sign to demonstrate the drastic effect the sun can have on a sign. Some background. The sign was installed about two years ago, and is a full colour digital print. I do not know what printer was used, although for this article that is not relevant, as although different printers may have different life expectancy’s, it can be assumed that both prints were printed on the same machine, so they should have the same life expectancy. The ‘white’ face is north facing, and the ‘yellow’ face is west facing. The big difference is that the north facing sign gets full sun the whole day and the west facing sign, while it gets the strong ‘western’ sun, only gets sun exposure for about four hours a day. 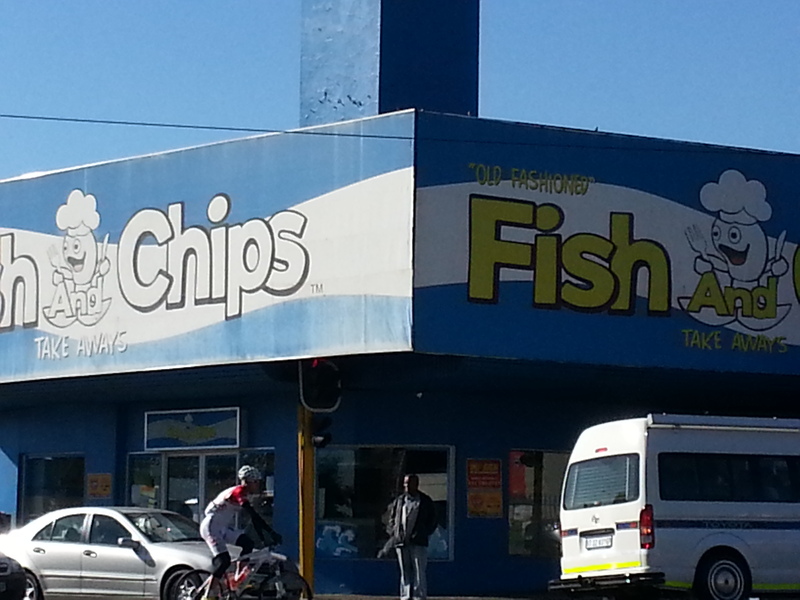 The results of colour fade are evident in the difference in colour of the two faces of the sign. The position of the sign, including daily length of time the sun will be exposed to the sun. Although it may not always be a financially viable option, when a sign has no half-tones (that is no shadings) and if the design is uncomplicated, the life expectancy of the sign may sometimes be increased by using cut vinyl that has a life expectancy of between five and seven years. As mentioned, it may not always be financially viable as even with inflation linked increased printing costs, it may be more cost effective for the sign to be reprinted every 30 to 42 months, with a fresh face and possibly even a fresh design improving the signs return on investment. 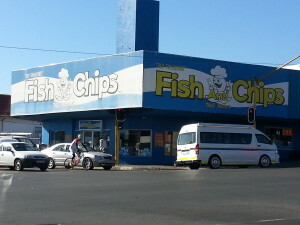 For further information on the digital printing, or if you are in the market for professional looking signs at “FAIR VLAUE”, or if you would like advice on how best to project your business’s image while considering any funds you spend on marketing and signs as an investment, contact the writer now at arnold@signforce.co.za or david@signforce.co.za and use the subject line: ADVICE PLEASE. There are three main directions that a sign can be illuminated, namely FRONT ILLUMINATED, EDGE LIT and REAR ILLUMINATED. 1. 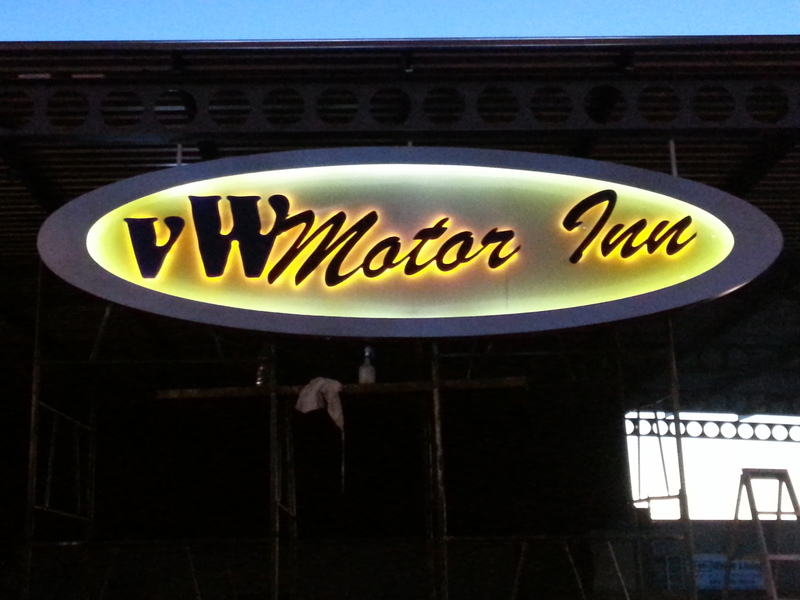 Front Illumination – also known as front lighting – refers to the sign being illuminated (lit) from the front, generally either from below or from above, and is commonly used on advertising billboards. Front illumination is most commonly achieved with bright, ‘spot’ light type lighting, although almost any lighting, including florescent lamps, can be used for front illumination, where the light is being ‘reflected’ off the face of the sign. Front illumination tends to have the advantage that it can keep costs – both initial investment and running costs – low. This saving does, however, tend to be at the trade-off of clarity and possibly visibility, because one of the largest disadvantages of front illumination is that if the light source is not properly, or well, focused, the sign can become totally illegible at night – just when the lighting is supposed to make the sign visible – as the light reflecting at the incorrect angle can result in the full brightness of the light reflecting off the face of the sign directly into the viewers eyes, similar to the effect of looking into the headlights of oncoming traffic, and effectively blocking the sign’s message. 2. Edge Lighting – also known as side lighting or side illumination or edge illumination – refers to when a sign – generally for a framed glass type sign – is illuminated from one or more side (or edge). Edge illumination is commonly used for safety signs that are illuminated from one edge, as well as for smaller signs that are placed in poorly lit area’s, and ‘slim’ signs that are located in area’s with limited space. The biggest advantage of edge lighting is that the sign can be extremely thin – from as little as 20 mm deep – so that the illuminated sign can be hung like a work of art or used in the place of a standard piece of artwork, such as a decorative painting. While there are many advantages to having thin signs, especially when space is at a premium, it is worth remembering that edge lighting can only be used with ‘thin’ light sources, such as T5 florescent tubes or LED lights, so that, for now, (or until the technology improves), the illumination is often not very bright. This does not tend to be an issue if the area where the sign is to hang is poorly or not illuminated, but can be problematic when the area is well illuminated, or there is a lot a ‘other’ light in the vicinity of the sign, as the edge light may not be as bright as the competing light, and thus the most powerful effect of the illumination can be lost. 3. Rear Illumination – also known as internal lighting, back illumination and back lighting – is the most powerful, and most common lighting, used for business signs, building signs and ‘light boxes’. Rear illumination refers to the light ‘passing through’ the face – and illustration – of the sign, thus enhancing the picture, and / or message. Because of the work involved in the manufacturing and wiring process, rear illumination does tend to be the most costly form of illumination, although the costs are coming down with all the wonderful developments being made in lighting technology. One of the many advantages of rear illumination is that different types of illumination can be used to create different effects for the viewer. An example of this is when old technology florescent lights (running off magnetic ballasts and starters) are placed behind a picture of running water. Because of the flow of energy in the tubes, the water in the picture also gives the impression that it is moving. While the effect is wonderful, and old technology ballasts are inexpensive when first purchased, it is common for these ballasts to fail. They are also very eco-unfriendly and use a lot of energy because almost 80% of their output is lost to heat. Modern, energy efficient florescent lights such as the one’s that SignForce use, run off eco-friendly electronic ballasts, and while their cost is constantly decreasing, the initial investment required for this type of lighting is still significantly larger than that required for the older technology, magnetic ballasts. That said, the increased initial investment is WELL WORTH IT, both because of the longer life expectancy of the modern ballasts and tubes, and also because of the lower running costs – both from a power consumption AND a maintenance perspective, as well as the fact that the sign box will not need to have all the ventilation required from the heat generating magnetic ballasts, contributing to a lowing of the manufacturing costs. It is becoming increasingly common for rear lit signs to be illuminated with energy efficient, eco-friendly LED lights, because of the reduction in running costs, the extended life expectancy of LED lights and the ease of use. Another advantage of rear illumination is that the picture and / or commercial message is enhanced when the lighting is from the rear, making the message brighter and clearer. 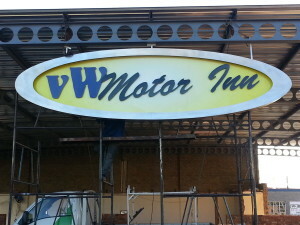 If you are in the market for professional looking, illuminated signs, or simply require advice on how best to illuminate your sign – and get a return on your illuminated sign investment – email arnold@signforce.co.za or david@signforce.co.za using the subject line: ADVICE PLEASE and we will get back to you as soon as possible.